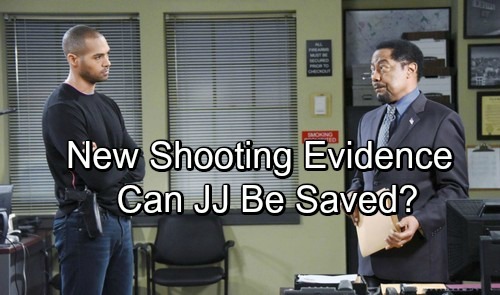 Days of Our Lives (DOOL) spoilers tease that Abe (James Reynolds) will ask Eli (Lamon Archey) to be honest with him. DOOL fans know that Abe’s had a hard time coping with Theo’s (Kyler Pettis) shooting. 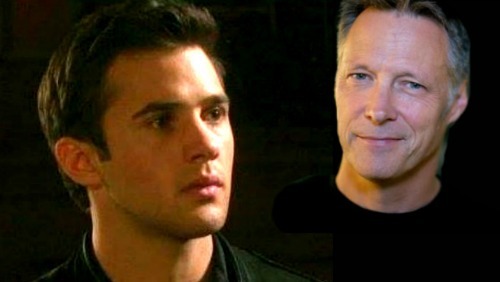 He’s still furious with JJ (Casey Moss) and he can’t bear the thought of Theo staying in a coma. In other words, Abe’s just not in a great frame of mind right now. He’ll finally be able to understand that next week, so he’ll seek a second opinion. Days spoilers say Abe will want Eli to give it to him straight. He’ll ask for Eli’s thoughts on the shooting and JJ’s culpability. During a recent confrontation with Gabi (Camila Banus), Eli made his position clear. He suggested that JJ reacted impulsively and caused an unnecessary tragedy. Eli also suspected that Theo’s race played a factor in the shooting. Does Eli still feel the same way? It’s possible that he’s cooled off since then. Gabi offered her point of view, so she may have gotten through to Eli somewhat. Then again, Eli may stand by his claims and insist that JJ’s responsible. He might argue that JJ doesn’t have what it takes to be a good detective under pressure. However, Eli’s stance won’t be the only thing Abe takes into consideration. Days of Our Lives spoilers state that new shooting details will come out. Perhaps there’ll be more info on why Theo broke in the warehouse. Kate (Lauren Koslow) will certainly start to sweat! JJ might have another memory about that fateful night as well. It’s obvious that he has nothing to hide. JJ can barely stand all the guilt he’s been feeling lately. Days of Our Lives spoilers say Eric (Greg Vaughan) will eventually reach out to JJ. He’ll see a little of himself in this remorseful young man. Eric will talk about his own experience with extreme guilt. After he accidentally killed Daniel (Shawn Christian), Eric didn’t know how he was supposed to go on. Thankfully, he worked through some of his issues by helping others. Eric will assure JJ that it’s possible to pick himself up and keep going. He won’t want JJ to discard his future. Days spoilers hint that JJ will continue to struggle anyway. It seems nothing can console him at the moment. Let’s hope ghostly Jack’s (Matthew Ashford) upcoming visit will put JJ on a better path. We’ll give you updates as other DOOL news comes in. Stick with the NBC soap and don’t forget to check CDL often for the latest Days of Our Lives spoilers, updates and news.